Cut tomatoes in half, seed & scoop out the center. Salt tomatoes & place upside down in a strainer to allow excess water to drain. Cut avocado in half & remove pit. Scoop out avocado & place in a medium bowl. Add lemon zest, juice, shallot, garlic & thyme. Chiffonade basil leaves & add to the bowl. 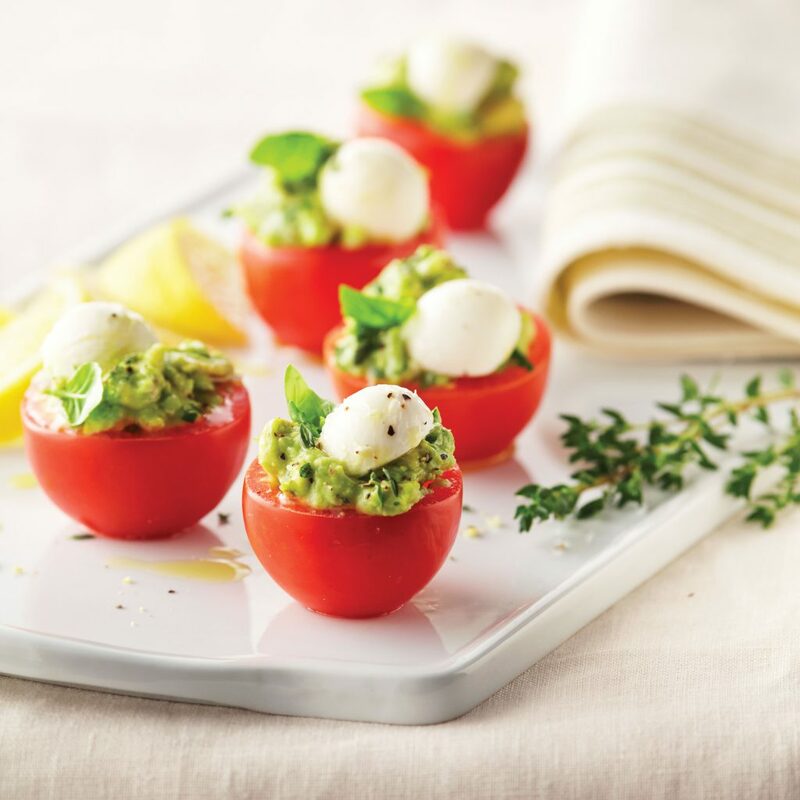 Fill tomatoes with avocado mixture. Top with Galbani Ciliegine & garnish with small basil leaves.